Stiffelio and Lina struggle to understand each other. 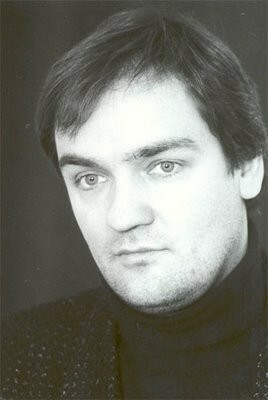 Andrzej Dobber, an extraordinary baritone. 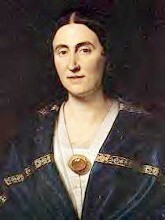 Giuseppina Strepponi, indispenable to Verdi’s career, caused problems because she had lots of baggage. Set in Protestant Austria in the mid 18th century, Verdi may have chosen this story, based on a play La Pasteur, because he had returned to the small Italian town in which he'd grown up with his mistress Giuseppina Strepponi in tow. A well-known soprano, she had become co-manager of Verdi's career, She abandoned lovers and children to move in with him. Verdi paid his parents so they could leave in the face of local ire. Why don't we feel Verdi's anger and passion in the music? My guess is that Verdi did not complete this opera in the manner of his others -- making adjustments and tweaking in rehearsals and productions which followed the premier. He didn't have a chance because the censors squelched Stiffelo. The overture has little relation to the opera, which opens with ensemble singing and the chorus. You might be in Act III. Would it help if Verdi punched it up? Of course, but this is not an option. 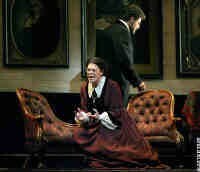 How could Italian opera fans understand a married priest, the censors asked. As a matter of fact, they should not even contemplate one. And an adulterous priest's wife? Stiffelio was gone, re-tooled in a few years as Arnoldo, and then abandoned. 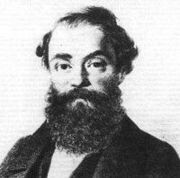 Piave, collaborator as librettist for twenty years, had been in charge of clearing the censors and assured Verdi that the opera was good to go. Although they continued to call each other Dear Tom-Cat and Adorable Bear, the Stiffelio censorship caused a blip in the Piave-Verdi relationship. 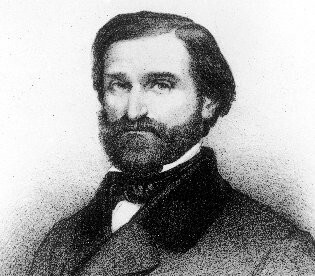 Verdi had suffered a double blow. La Maledizone to be known as Rigoletto was also banned. As he proclaimed "The letter with the decree banning La Maledizione was so unexpected it almost made me lose my mind... the displeasure and damage I suffer from this ban are greater than I have words to tell." Verdi was in no mood to tweak. Lukewarm receptions to Traviata and Simon Boccanegra prompted immediate adjustments. In the early 1990s, Verdi's heirs released materials which provided the basis for the current version of Stiffelio. Missing from the opera, as well as Verdi's hand, may be a grasp of the Protestant temperament. We are not the dry wimps everyone imagines. Although Philip Roth writes that we are "perfect," we are as full of passion, guilt, affection and drama as the next guy, Stiffelio in this case. Unaided by theological instruction, Stiffelio finally wakes up in the highly dramatic last act to realize the words of the Bible refer to real people, in real life. Protestant imperfections drive this story. Directors take note. Protestants have hot blood running through their veins, as hot as Egyptians, Sevillians, and Rosenkavaliers. Stiffelio would be more satisfying if we felt heat in the action. Yet, the opera is well worth seeing for the marvelous cast and some very beautiful scenes. 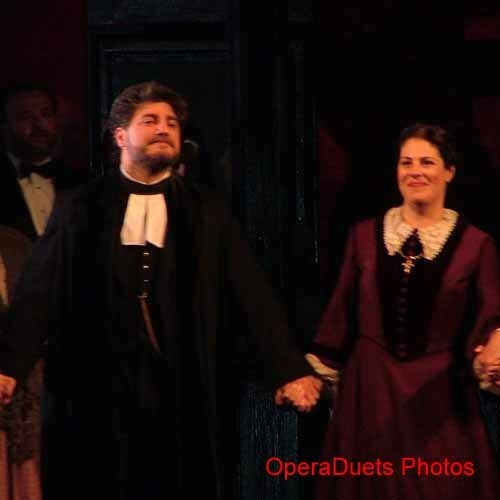 Jose Cura gave a wrenching portrayal of the agony of Stiffelio. Scenes between Lina and her father rival the intensity and passion of the last act of Die Walkerie: father-daughter confrontations can be so potent. Andrzej Dobber, Lina's father, is an arresting baritone and brought down the house at the end of one aria. As Lina's young seducer, Michael Fabiano made a promising debut. Chanteuse Barbara Cook lept up at the finale and the house followed her in wild applause for the principals, especially Sondra Radvanovsky. Our homegrown heroine whom the muse of music has blessed with such a glorious voice. In conversation entre acte, Ms. Cook had expressed the amazement, delight and awe Met aficionados have come to feel for Radvanovsky. She is surely a force of a nature like Stephanie Blythe and Christine Brewer. Cascades of adjectives, adverbs, and descriptions can not do justice to RadvanovskyÂ’s voice. Trusted artists help Met management make wise decisions. Thanks to Placido Domingo, Radvanovsky will be signed for the 2010-11 season. Joyful news. Hear Radvanovsky any place, at any time. She returns in Stiffelio on January 30. Other performances of the opera are on January 19, 23, and 26.